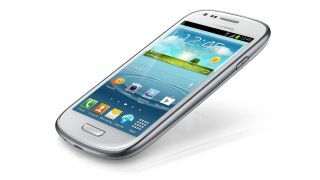 The Samsung Galaxy S3 Mini will not be involved in the next round of the never-ending Apple vs Samsung patent war. The little brother of the flagship Galaxy S3 had been named alongside a host of Samsung devices which, according to Cupertino, infringe Apple's intellectual property. The warring companies had been asked to present their lists of disputed devices as they gear up for a second trial in California, scheduled to begin in March 2014. As the Galaxy S3 Mini is not being sold in the United States, Apple has sportingly agreed to strike it from the list. However, it's not as if Samsung will be doing cartwheels about the news. Apple's list still includes the Galaxy S3, Galaxy Note 2, Galaxy Tab 8.9, Galaxy Tab 2 10.1 and Rugby Pro devices. Apple also reserves the right to reinsert the S3 Mini if Samsung decides to launch it Stateside. The second trial, which follows Apple's crushing victory this summer, will also hear Samsung's claims about the iPhone 5.